When I was in school, I brought my lunch every day from kindergarten to high school. Peanut butter and jelly on white bread. . .everyday. There were lunchboxes. . .a yellow snoopy one, I recall. . .eventually I just brought my lunch in a brown bag. These days, there are so many great choices for lunch - for kids AND grown-ups. At the Lands End Back to School event, Chef Sam Talbot spoke to us about making healthy lunches our kids will eat. Chef Sam is a professional chef, restauranteur, author and Type 1 Diabetic. 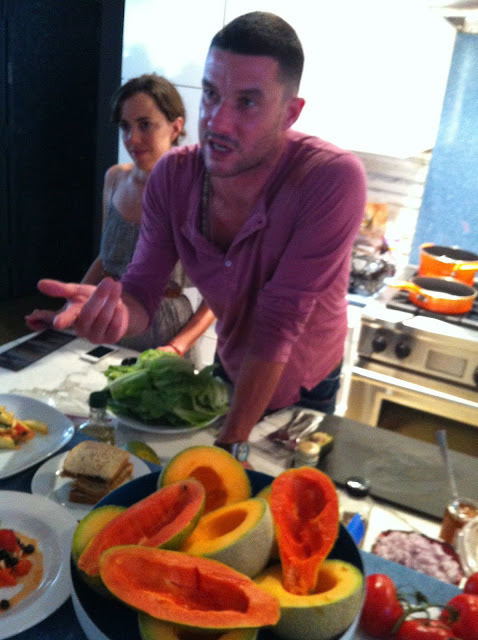 Some of the recipes he showed us, included Almond Butter and Blueberry Sandwiches, Fruit Salad, and Grilled Apples with Mint and Honeycomb. He made it look so easy and fun. . .not at all the way making lunches goes in our house. Although I am very luck in that John usually makes lunches for the kids. I tend to fall in a lunch "funk" - buying and sending the same old stuff all the time. Maybe this year will be the year we get more adventurous. Once you have the lunch planned and figured out, you can move on to how best to get it to school without getting warm or crushed. 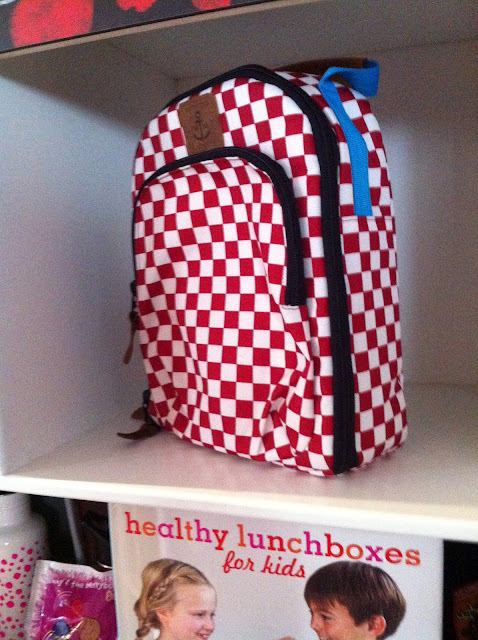 Lands End has a great selection of lunch bags for boys, girls and grown-ups too. 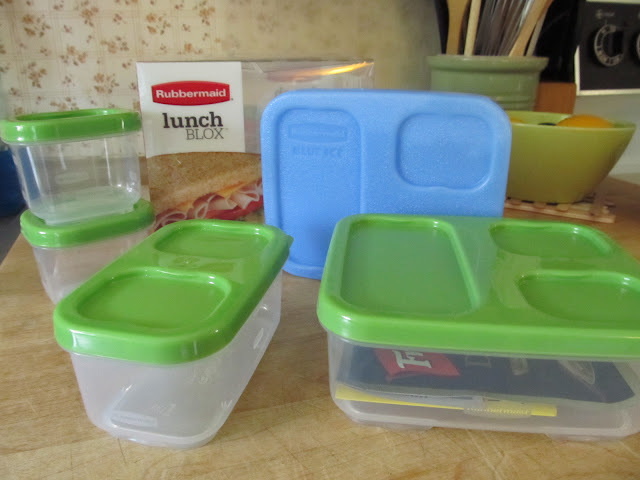 Lands End lunchboxes are tested to keep food refrigerator-cold for 5 hours with an ice pack. 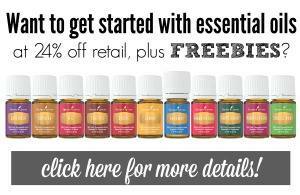 They are easy to clean, reusable AND PVC-free too! 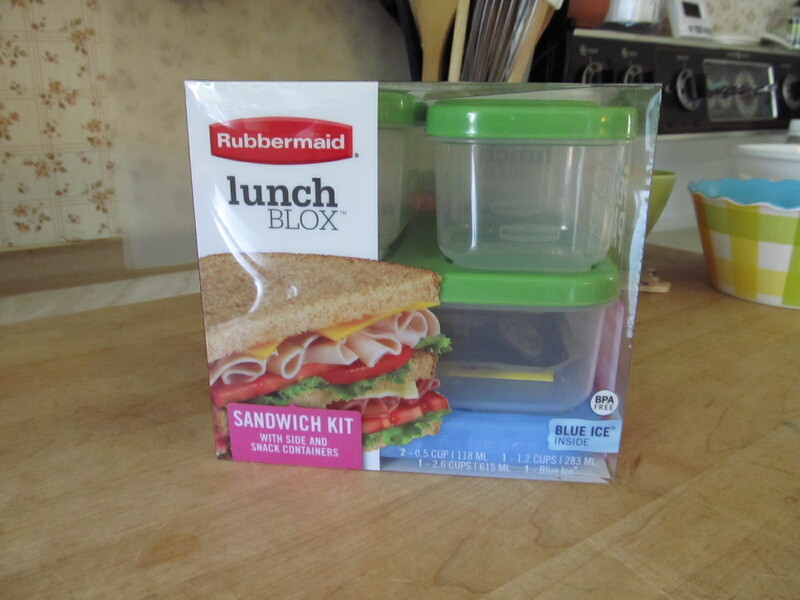 In addition, Rubbermaid, has recently launched their LunchBlox Sandwich Kit. This kit, is a organization addict's (like myself) dream. It saves space and stays organized in a lunch bag or box. Plus, it's handy sized containers, open a wide range of possibilities of things you can pack. It includes a specially designed Blue Ice™ pack that keeps lunches chilled. The containers are proportioned for commonly carried lunch foods - like sandwiches, salads and dressing, veggies and dip, etc. This kit is perfect for anyone in your family, and great to take along on picnics and anytime you take meals to go. Best part? The containers not only look great - but they are microwave, dishwasher AND freezer safe - as well as BPA-free! So once you figure out what to put in your kids lunches this year, there are lot of great choices for what to put that lunch in, so it gets to school safely. What will your kids be bringing for lunch this school year? note - I received a Lunchblox Kit from Rubbermaid in order to facilitate this review, however, as always all opinions are my very own. I'm not sure which I despised more - packing lunch for my daughter for school, or deciding what she should eat now that she's homeschooled. The lunchbox and containers look great. Love that they're safe. 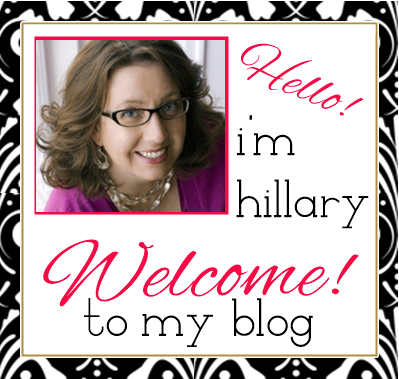 LOL. . .I never thought about trying to make lunch for homeschooling. . .in general I fall into a cooking rut - dinner, lunch. . . I just bought the lunch box kit last week. I've used it every day. My daughter loves it, and the containers are all just the right size.